We had a blast at Disney World. It will take plenty of posts to tell you all about it. But all this can wait. 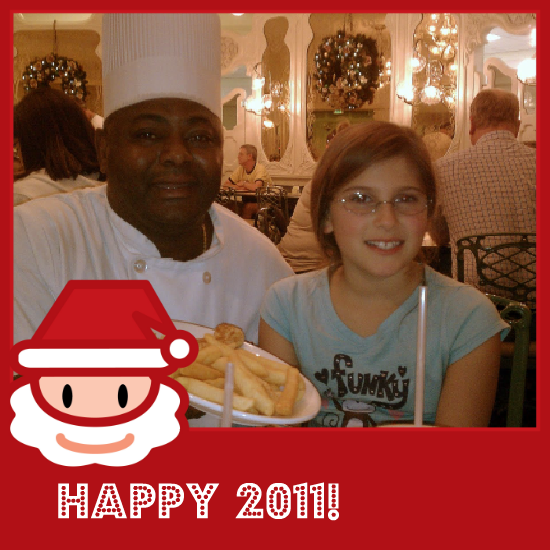 I want to dedicate mydinnertoday’s first post of the new year to Chef Ken from the Plaza Restaurant at Magic Kingdom. 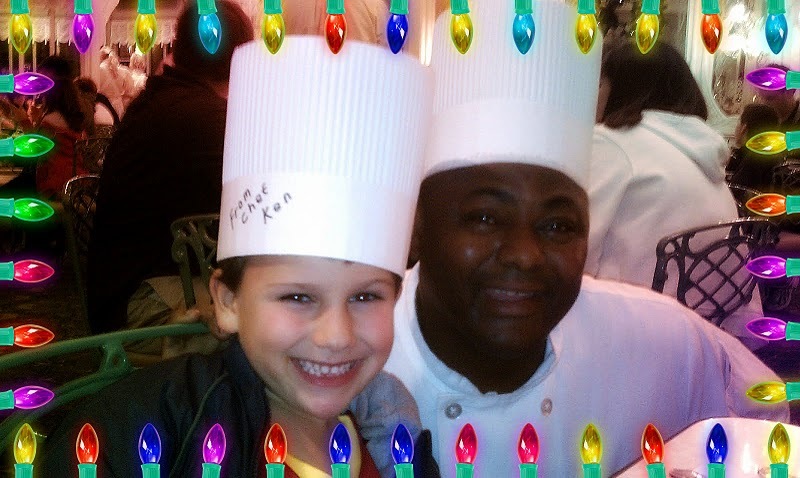 Chef Ken came to our table with a big smile and and an even bigger heart. He made my daughter feel special for her nut allergy preparing a crystal clean meal for her with the cutest grilled cheese sandwich you’ve ever seen. Can you see the Mickey ears? He also prepared my son’s meal, just so he wouldn’t have to wait for his. And what about that Chef’s hat, signed and all, for our little Chef ! You’ll see me, too, wearing it soon. Hint, hint, keep an eye for when my photo changes on the blog… And then special dessert for our prince and princess. Fabulous ice-cream with gluten and nut-free cookies on top. Thank you, Chef Ken, for making our dinner so special, and putting big smiles on our exhausted faces. 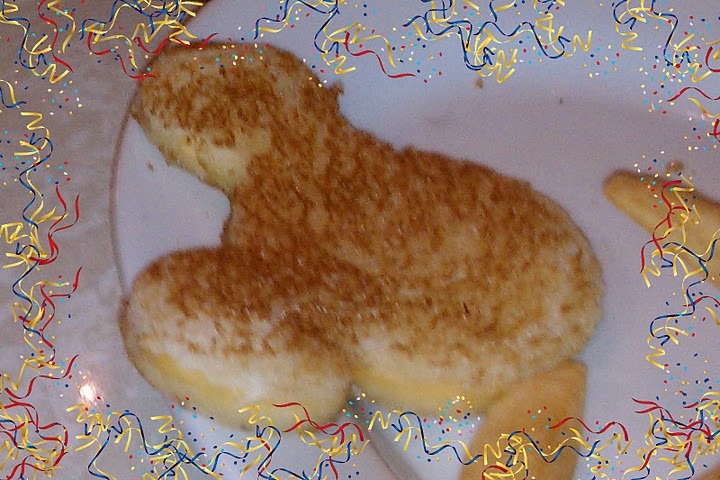 Happy new year to you and all the warm-hearted chefs in the world. I really loved post you wrote about chef Ken. He was very kind. Thank you, Melina. It’s nice to meet kind people.